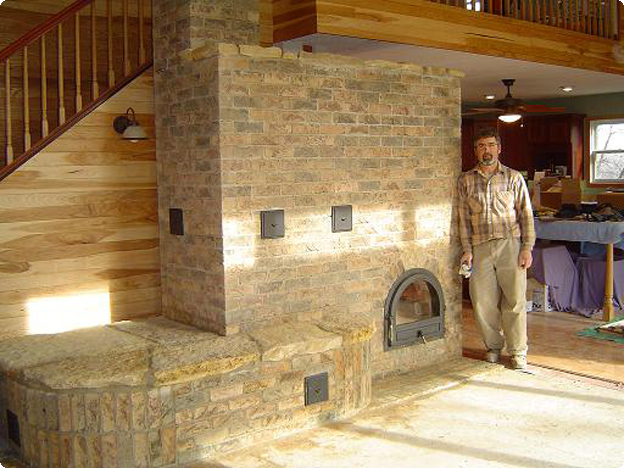 Ken Matesz (last name pronounced maw’tes) started the Masonry Heater Store, LLC in a spirit of energy efficiency, unusual comfort, healthy living, and environmental care. His intention is to introduce more people to a high-quality, finely crafted product that can change lives for the better in sometimes unexpected ways. A true craftsman, Ken puts his mind firmly on each task, always seeking to better each one. If he is to cut a brick, it is cut as exactly as possible. If something is to be level, he works until it is. In a world of “hurry up and get it done”, Ken paces himself, enjoys the moment, and seeks that illusive perfection. Detail oriented and conscientious to a fault, our clients routinely notice a difference in the way Ken works in their homes. Perhaps most obvious is the quiet, methodical approach he takes to each job. Never will you find a blaring radio in his work area. No cuss words. No crude jokes. No smoking. Just quiet concentration. For, to Ken, it is not about making the day’s work bearable so he can get paid and go home, it is about doing the job right, it’s about right diligence. Some say, “Don’t sweat the small stuff.” But Ken realizes that the small stuff, all done right, makes the big stuff the best it can be. Another difference one notices is his cleanliness and sense of order. Ken considers this a matter of respect: Respect for his craft and teachers, respect for his clients and their home, and respect for the magical fire destined to burn on the hearths he builds. So with that respect, he sponges the firebrick, cleans his tools, and straightens and sweeps the work area. When his tools are clean and his work is neat and organized, he honors his craft. When he sweeps the work area, he honors his hosts. And when the flue channels are clean, he honors the spirit of the fire. The result of such respect is yet another kind of warmth. Ken is a man of commitment and action. Thoughtful and resourceful, he listens to his clients with incredible patience. Then he digs into his experience and imagination to suggest new ways of meeting his customer’s needs. Contentment only arrives when, again, the details are in place and the client is ready to forge ahead. Ken takes his commitments very seriously and takes serious action to fulfill his end of the promise. Clients notice that he always returns calls and e-mails, always shows up when he says he will, calls if he can’t, and always works until the job is done. Commitment, respect, right action, right diligence, and a quiet striving to make his work the best it can be. These are the marks of a true craftsman and these are the qualities you will find in Ken Matesz. 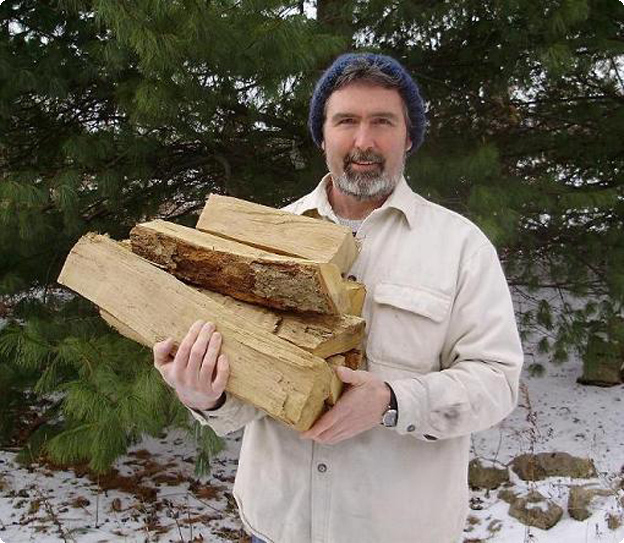 He has been a heater mason since 1995, a timber framer since 1987, and a certified Bau-biologist since 1991. Ken lives in a rural area of northwest Ohio.